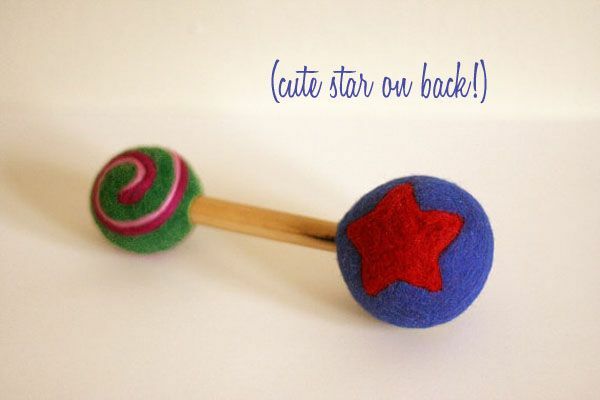 Every rattle—from the rainbow raterpillar, the inch worm, the sassy mini monster, and the monogrammed rattle—are all one of a kind, handmade using natural materials, found materials and even ORGANIC when Melissa, the mastermind behind Sqrl & Bee Studios can find it! 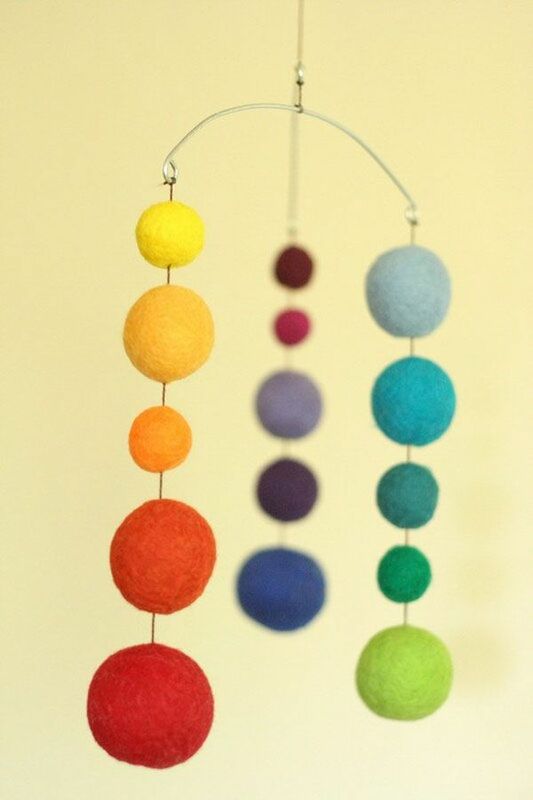 The wool from which the rattles are made is tested to meet CPSIA standards to be lead and chemical free. And much of the wool (the ‘core’) meets very strict standards from sustainable grazing and lack of pesticide use to proper treatment of the sheep. This is quite important when you consider that those rattles will end up your baby’s mouth! Follow Modern Kiddo on Twitter. If you are already a follower, tweet about this giveaway—don’t forget to include @modernkiddo in the tweet please! 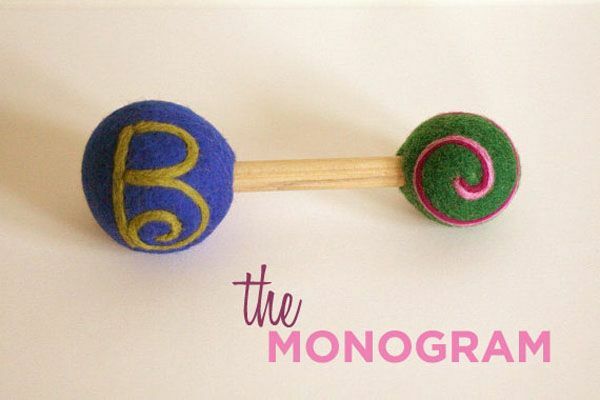 My boy would love the monogram rattle!!! I ‘like’ Modern Kiddo on FB! Awww, they’re all so cute but I like the monster! Very cute- I like the rattle pillar. I love me the monogram one, but all of them are great. That mobile has been a long time favorite of mine. What a darling giveaway! 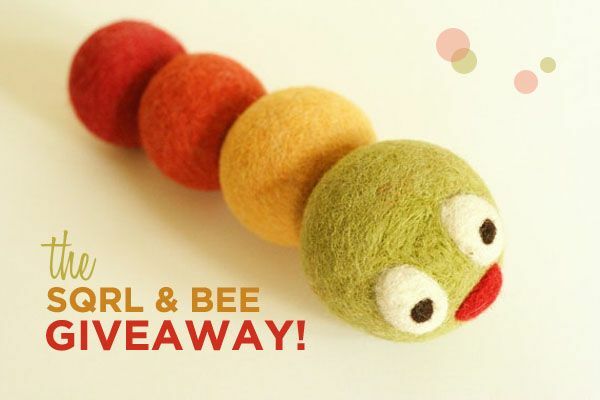 My brother is about to have a baby boy and I would love to give him the Monster – Felted Wool Baby Rattle! I like Sqrl & Bee Studio on Facebook! I like Modern Kiddo on Facebook! I just found your blog and I love it! Thanks! Love them all but I’m having a baby boy in September and I think he’d love the monster or the Rattle Pillar!! What a great giveaway! I love the mobile. So sweet and simple. Everything is cute on the list. My favorite is the monster rattle. i like modern kiddo on facebook! i actually LOVE modern kiddo. The mobile is just too beautiful! Everything looks amazing. 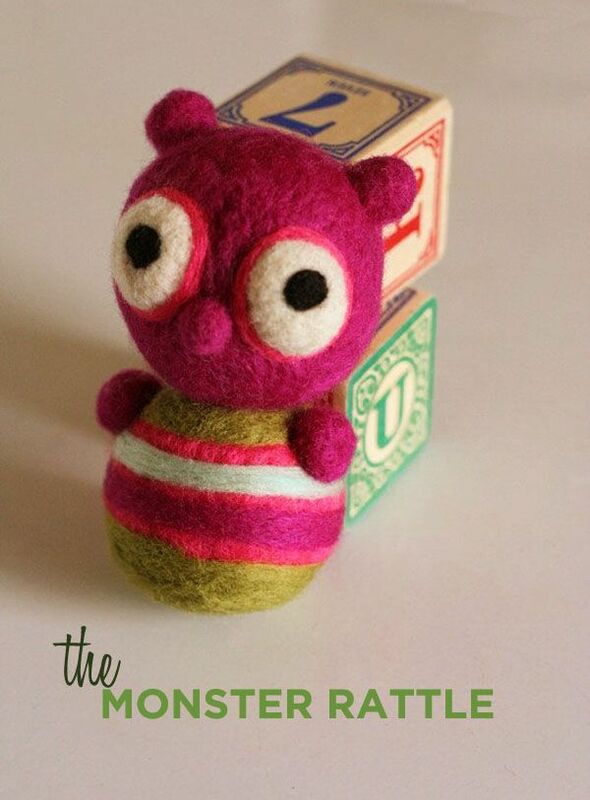 monster is super cute but i think my favorite is the rattle pillar! I liked Modern Kiddo on FB. 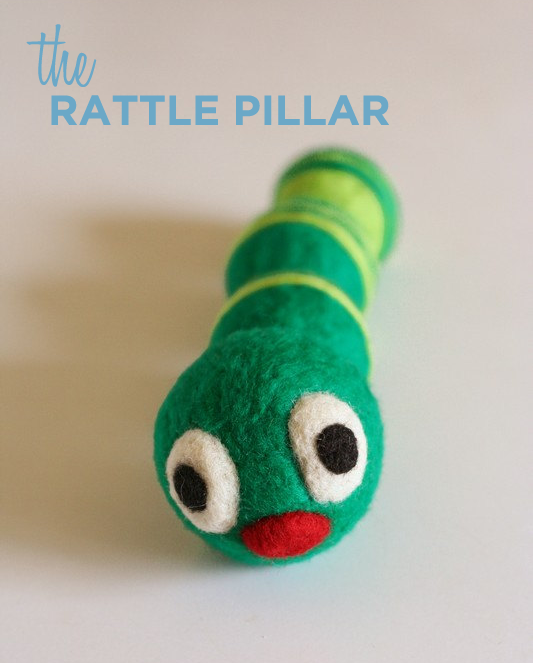 I love the rattlepillar, so cute. Love the name too! I love that monster! So cute! I love the rattlepillar! I also liked Modern Kiddo and Sqrl & Bee on FB. Ooh, this is a tough one! They are all so adorable. I think my favorite is the rattle pillar though!